The Federal Account Allocation Committee reported a gross revenue allocation of N1.014 Trillion distributed between the Federal, States and Local government councils. Out of this sum, various deductions were made from the shares of both Federal and State governments based on what is being owed. Subsidy Savings for the period was also distributed to the 36 states, the FCT and the 774 local councils. The allocation includes the distribution of N92.436 Billion from Foreign Excess Crude Savings Account being arrears of May, 2013 augmentation, and the distribution of the sum of N7.617 Billion being 23rd installments of refund by NNPC. A total of N19,256,452,186.28 of subsidy savings was distributed to States and local councils. 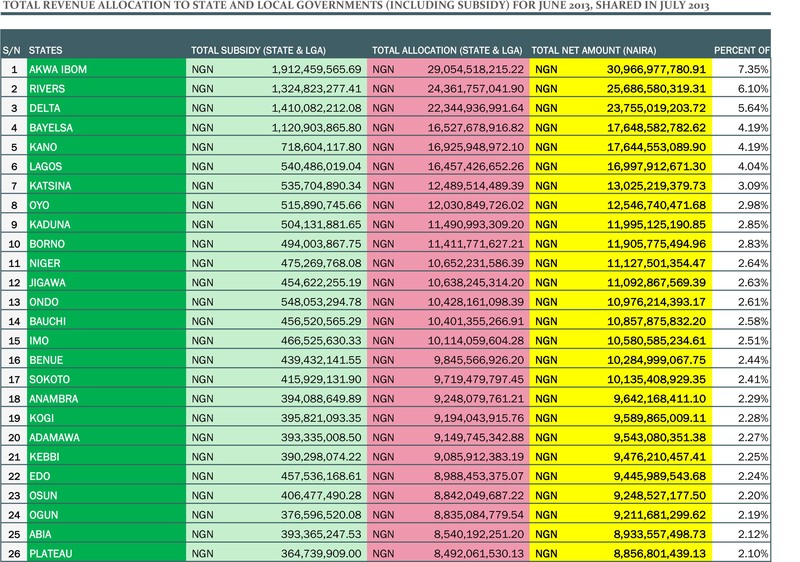 Summary of what went to each state including their local councils can be found in figure II below. According to the Coordinating Minister for the Economy and Minister of Finance, the Subsidy savings for the month of July, 2013 is based on benchmark of $90/barrel and at partial subsidy phase out of N97 per litre. 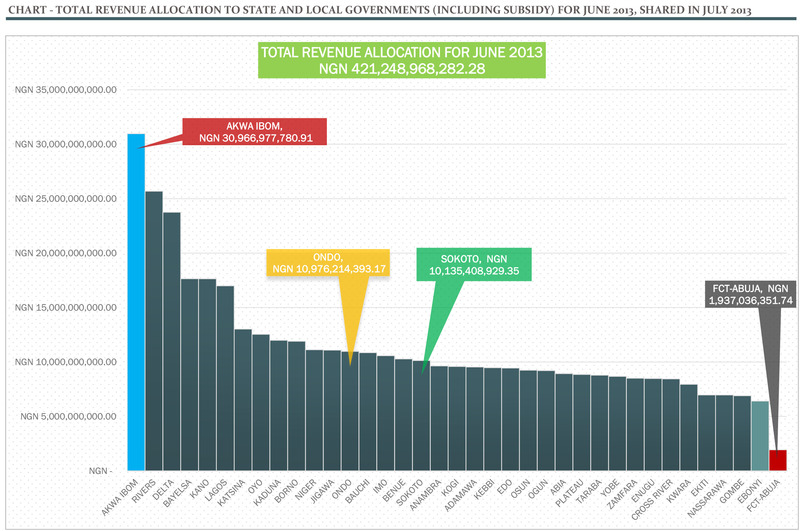 Figure I shows the total net revenue received by each state in the month under review. Akwa Ibom retains its number one position as the state with the highest allocation. Other states that made the top five include Rivers, Delta, Bayelsa and Kano in that order. The states with the lowest allocation in this category, with the exemption of the FCT are Ebonyi, Gombe, Nasarawa, Ekiti and Kwara state.